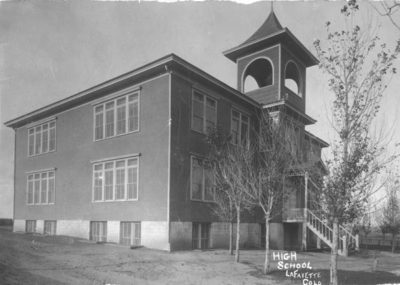 The second Baseline School built in 1904 at Baseline and Iowa. Photo from the Lafayette Public Library. The opening of the new grade school (Lafayette Elementary on Bermont Avenue) today, February 24, brings back memories of the opening of the new school or should I say old grade school on an October day in 1904. 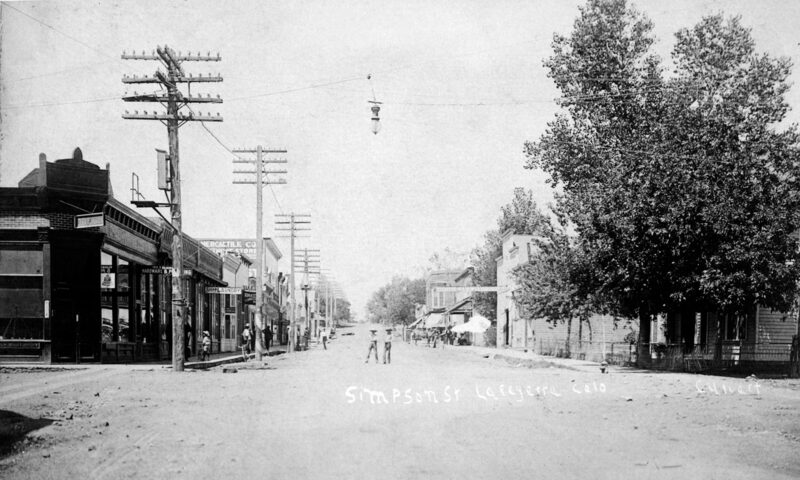 LAFAYETTE MILLER, in whose honor the village of Lafayette, Boulder County, was named, and who, from 1863 until his death, was a resident of this section, was born in Toulon, Stark County, Ill., March 18, 1840, the son of John and Mary A. (Able) Miller. He was one of eleven children, six of whom are still living. His father, who was a native of Rockaway County, N. J., born October 8, 1800, acquired in youth an accurate knowledge of both law and medicine, and engaged in professional practice in Cincinnati, Ohio, for some years. In 1836 he removed to Stark County, Ill., and from there, in 1852, went to Iowa, settling near Independence, Buchanan County. His death occurred in Johnson County, that state, May 13, 1884. On the organization of Stark County, Ill., John Miller donated fifty acres of his farm as a site for a town, and upon that land the village of Toulon was built. For eight successive years he held office as judge of the county or the probate court. He also served as magistrate for the organization of the county until his removal to Iowa. The latter part of his life was devoted to farming and stock-raising. That the Northern Colorado Power Company is a certainty, there can be no question of, as they have paid $750,000 in acquiring of plants, franchises and other property. The central station, from the present attitude of the Company, is to be located east of Lafayette in the vicinity of the Blue Ribbon Mine. The only thing that will prevent the location is the failure to find coal on the Elder property, which however, there can be no doubt about, if the opinion of the coal experts is correct. Should the Elder property and the Blue Ribbon properties not be used for this undertaking, in all probability the location will be on what is known as the Hultz farm. The plant or central station alone was originally figured to cost $486,150, but owing to the fact that the power will be used in addition to its original calculations for power purposes in operating railroads, both passenger and freight, will probably increase the cost another $150,000.